Jessica Ramos has a long history with the School District of Philadelphia. She was educated in the public school system from the start. She attended Powel, Meredith, and finished at Bodine High School. Her rich experiences in those locations helped to mold the great leader we see in her today. 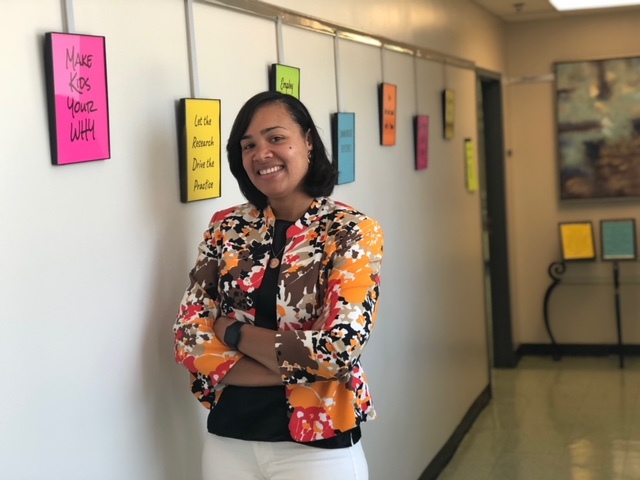 After obtaining her Bachelor’s degree and Master’s degree from Temple University and the University of Pennsylvania, respectively, Jessica entered the district as a classroom teacher. Her over ten years of experience in the district include being a principal at Stearne Elementary School. While there, she was awarded numerous grants and put many systems in place that proved successful for the school community. While fulfilling various roles in the district, Jessica affiliated herself with numerous organizations to further enhance her skill set. She is an alumnus of Teach for America, Philly Plus, and the Neubauer Fellowship. Each of those organizations have invited her back on many occasions to share her highly regarded wisdom. Jessica has a very promising future. She is currently enrolled in a doctoral program at St. Joseph’s University. Her thirst for knowledge and passion for ensuring an equitable, high-quality education for all are unparalleled. We are excited to have her guide Learning Network 10.